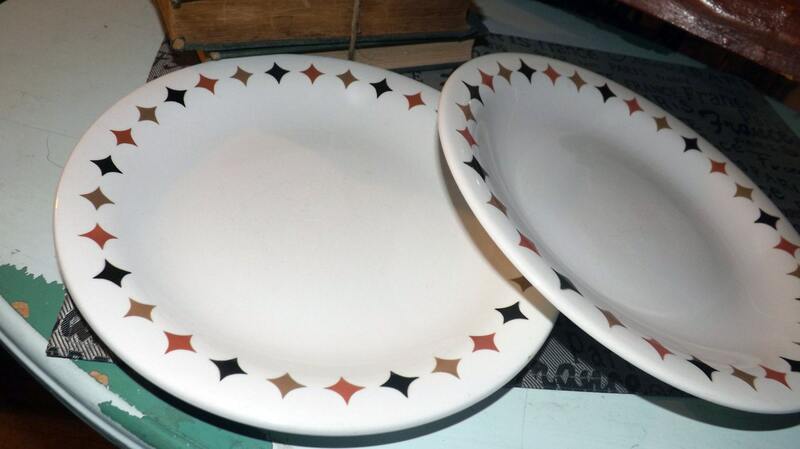 Pair of mid-century (1960s) TG Green Quatro luncheon or breakfast plates. Berit Ternell. Black, rust, olive geometrics. 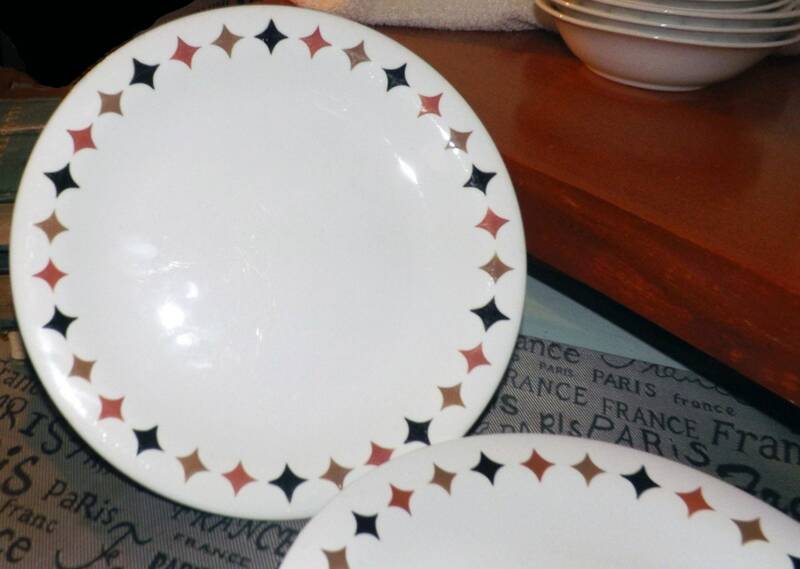 Gayday Tableware. 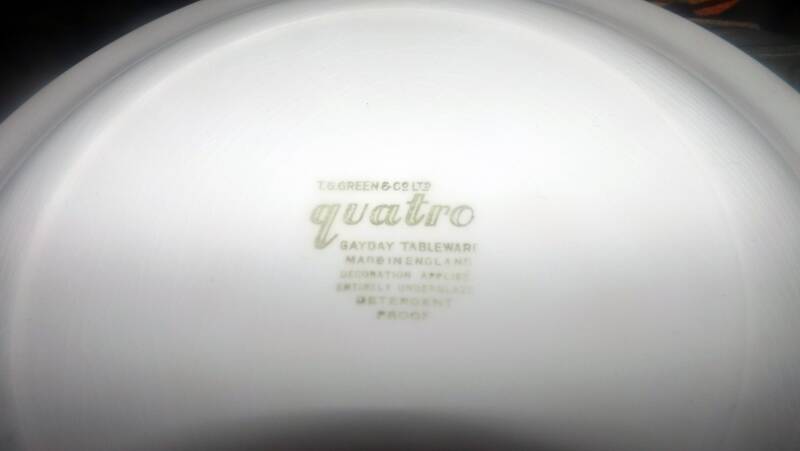 Pair of vintage (1960s) and hard to find TG Green & Co. Ltd. Quatro pattern coupe-shape large breakfast or luncheon plates in the Gayday | Gayday Tableware shape. Quatro is an almost Scandinavian-style pattern of black, rust and olive-colored triangles | geometrics set against a white ground. 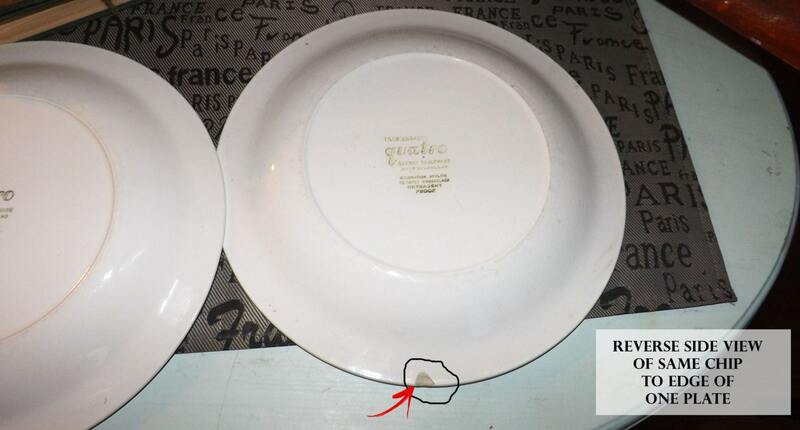 And there is a good reason for this apparent Scandinavian flair as Quatro was desiged buy ceramic master Bernit Ternell for TG Green. In GOOD! 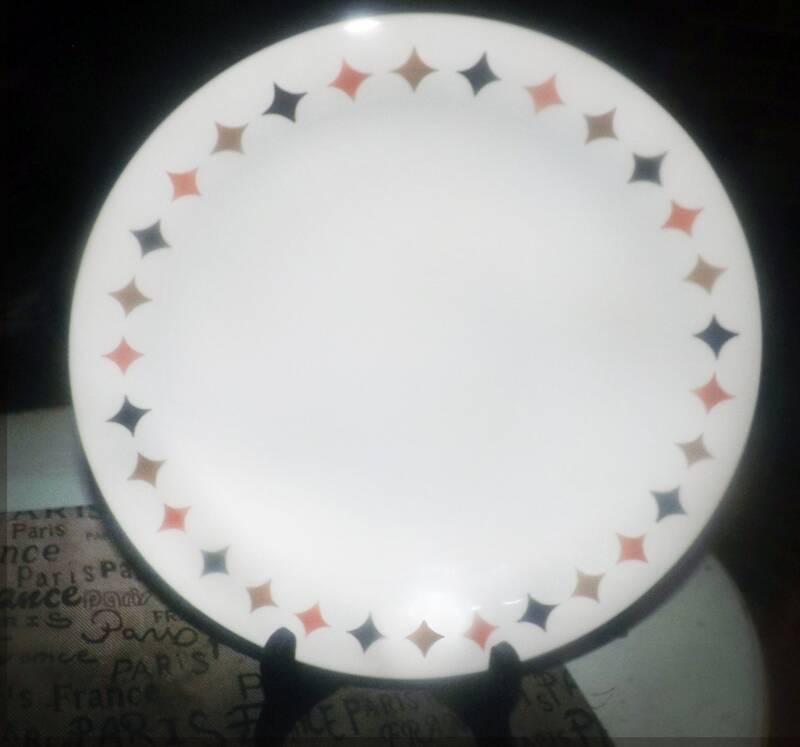 vintage condition, one of the plates has a chip to the edge on the rim and both plates show LIGHT! utensil marks to the surface. 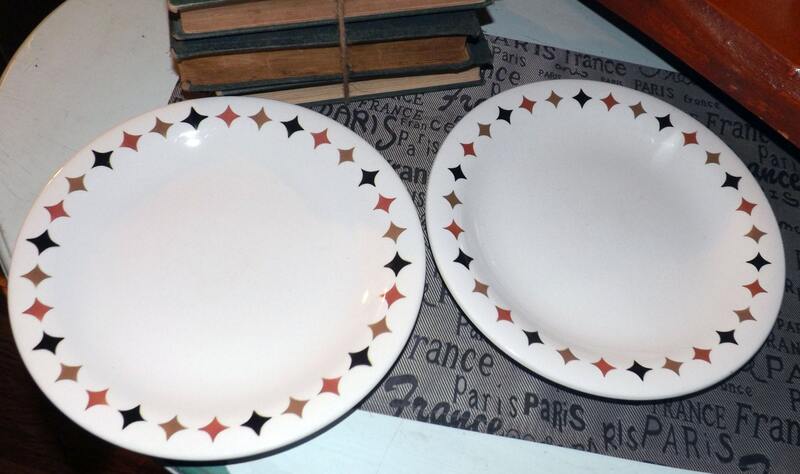 Plates show NO! crazing and the retro black, rust and olive green geometric border band bright and vivid with LITTLE TO NO! fading apparent. 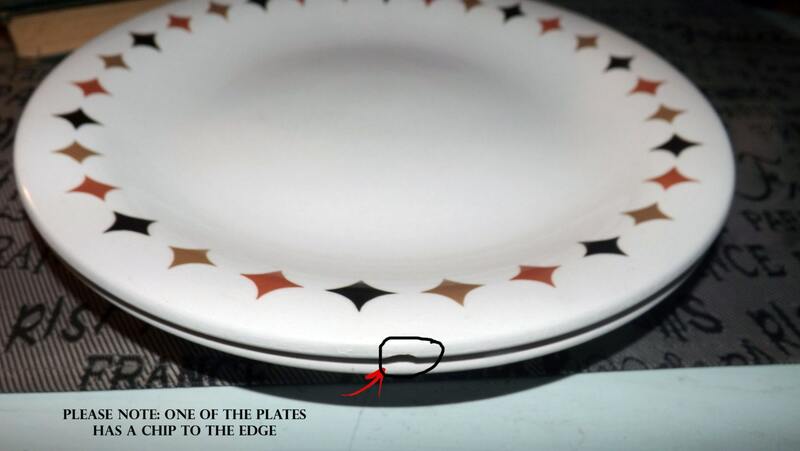 Approximate measurements: 9-1/2" in diameter (measured edge to edge across the front of the plate) with a smooth, unadorned edge.